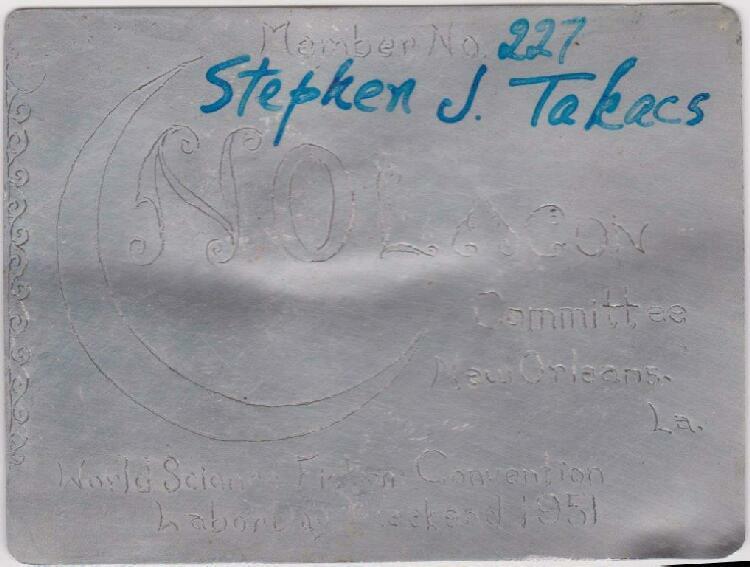 The 1951 Worldcon held September 1-3 in the St. Charles Hotel, New Orleans, LA. GoH: Fritz Leiber. Chairman: Harry B. Moore. It was at Nolacon that the famous Room 770 party was held. The competition to the winning New Orleans bid was Capicon in '50, a bid for Washington DC. See 1951 Site Selection results. See Sam Moskowitz' remembrance of Nolacon from the Noreascon Three PB. There were six bids to host the 1952 World -Con — Chicago, San Francisco, Niagara Falls, New York, Atlanta, and Detroit. Chicago won. See 1952 Site Selection results.